They tried to draft him in 2008 and 2012. 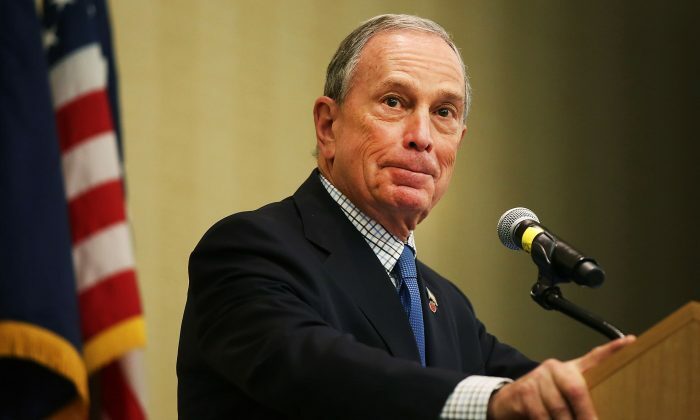 Both times, three-times New York City mayor Michael Bloomberg refused to run for president. Now, he might finally change his mind. Bloomberg has told advisers to draw up a plan for a potential independent presidential run in 2016, reports the New York Times. Anonymous sources said that the multi-billionaire might be willing to spend as much as $1 billion to fund his own campaign. Forbes puts Bloomberg’s net worth at $36.5 billion, far bigger than that of the next wealthiest person in the race, Donald Trump, who only has around $4.5 billion. Bloomberg’s politics tilts toward the center, pairing liberal social values and free market economics. The rise of Donald Trump in the Republican primary and Bernie Sanders in the Democratic one, both of whom espouse populist economic policies, made Bloomberg think about an independent run. Bloomberg had commissioned a poll in December to study his presidential chances, CNN reports, and sources told the Times that he’s expected do another poll after the Iowa and New Hampshire primaries before deciding whether to run. Much of Bloomberg’s decision to run or not will rest on whether Sanders can win the primary, a political analyst said. Currently, and against the expectations of the Democratic establishment, Sanders is leading against Clinton in both Iowa and New Hampshire, with a double-digit advantage in the latter state.